EB corbos Hypervisor provides a virtualization environment to execute multiple guest operating systems on one single CPU. These virtual machines are spatially and temporally isolated to support security-critical, safety-related and real-time applications. As the hypervisor provides a POSIX-compatible operating system kernel itself, native applications and guest operating systems can run side by side. 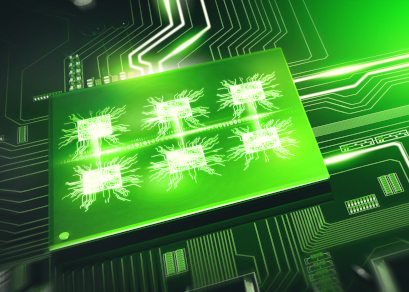 Virtualization of multiple guest systems offers the consolidation of multiple physical ECUs into one hardware. At core level, the integration of real-time and best-effort workloads is possible. Controlled access to critical peripherals, e.g. the board network, crypto cores, etc. The micro-kernel concept with small trust-worthy computing base and the majority of functionality provided in non-privileged processing creates a secure software environment for applications. EB corbos Hypervisor provides one or more virtual machines on a single CPU. Each of the virtual machines can host a different operating system. A virtual machine can either run on multiple CPU cores, or multiple virtual machines can share a single core. 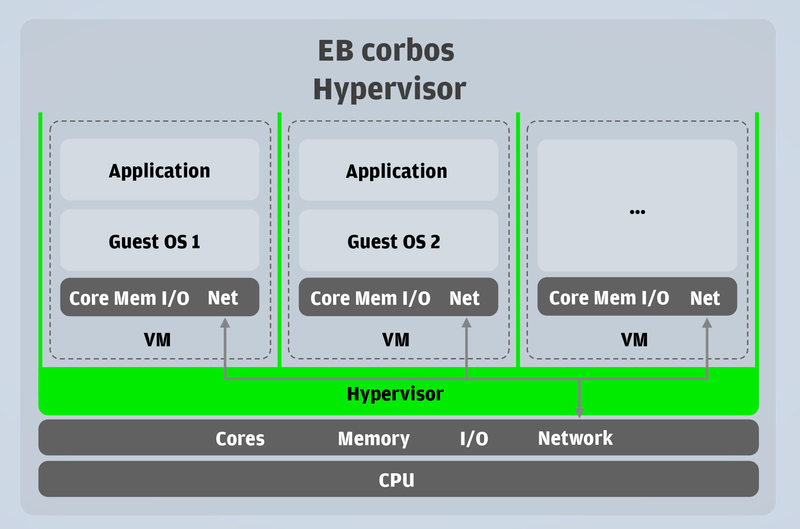 EB corbos Hypervisor is developed as a safety element out of context (SEooC) and supports safety applications up to the highest safety level by offering a reliable execution environment and spatial freedom from interference between the virtual machines. EB corbos Hypervisor uses available hardware virtualization features to provide a native environment to the guest operating system. EB corbos Hypervisor offers multiple communication services for inter-virtual-machine communication.